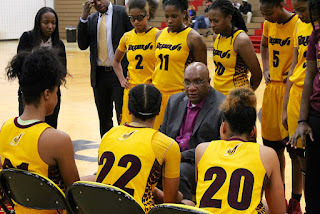 The University of the District of Columbia women's basketball team led wire-to-wire as the Firebirds raced out to a 6-0 lead and never looked back on their way to a dominant, 70-47 victory over East Coast Conference foe LIU Post on a snowy Wednesday night in our nation's capital. The Firebirds have now won 12 straight games as they improved to 14-3 overall and 9-0 in league play heading into Monday night's clash with the only other undefeated team in the ECC, NYIT (9-0, 15-5 overall). 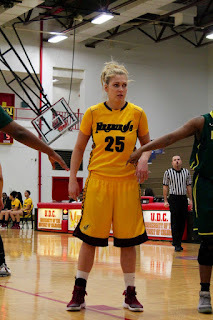 LIU Post lost its 4th straight to fall to 2-16 overall and 2-8 in conference. UDC featured a very balanced offense with 10 different Firebirds entering the scoring column, including four in double-figures. Junior transfer guard Brandi Henton played 22 minutes off the bench and led the Firebirds in scoring with 13 points while also hauling in six rebounds. 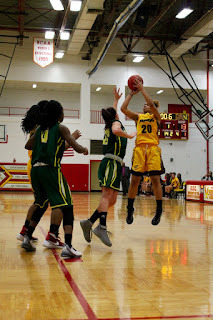 Meanwhile, senior forward Tatyana Calhoun recorded her 10th career double-double performance (5th of the season) with 11 points and 11 rebounds. 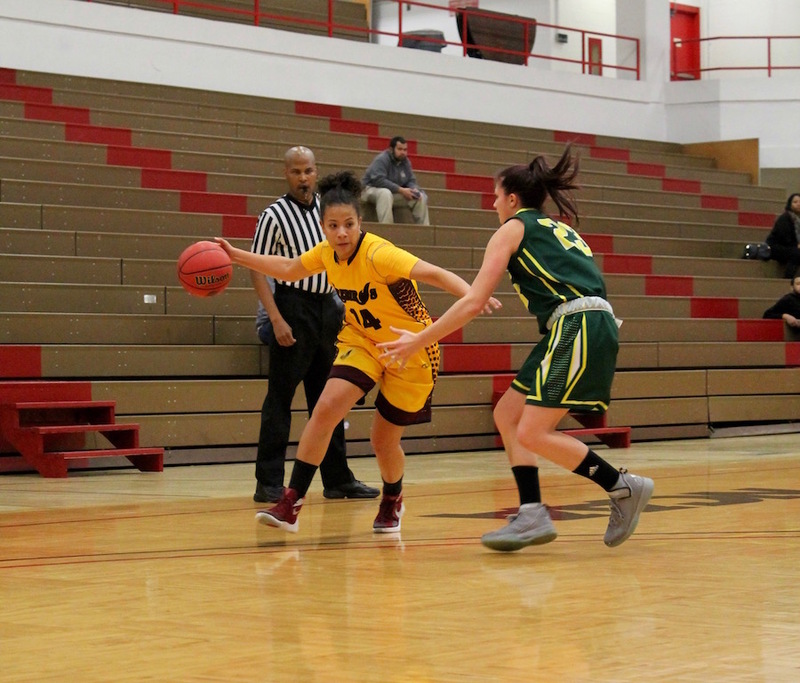 The Firebirds dominated the boards, 51-38 and out-shot LIU Post 40-percent to 31-percent from the field and 31-percent to 22-percent from three-point range. 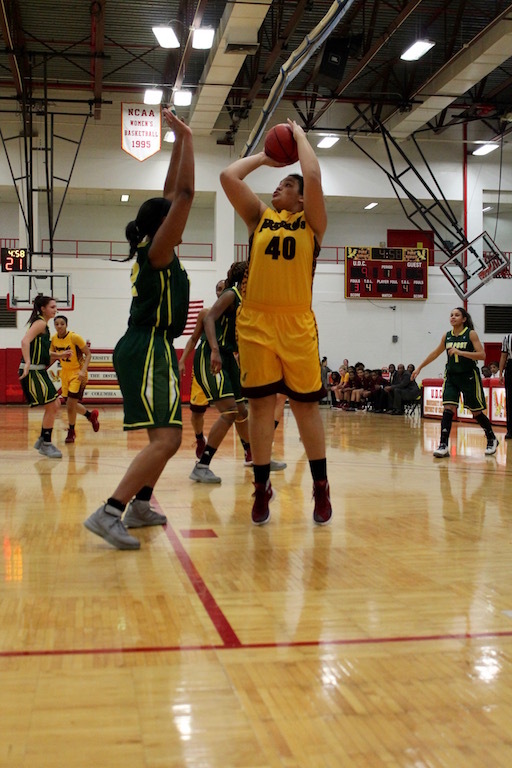 Both teams left a significant amount of points off the board as the Pioneers made just 7-of-15 (47-percent) at the free-throw line and the Firebirds 15-of-31 (48-percent). 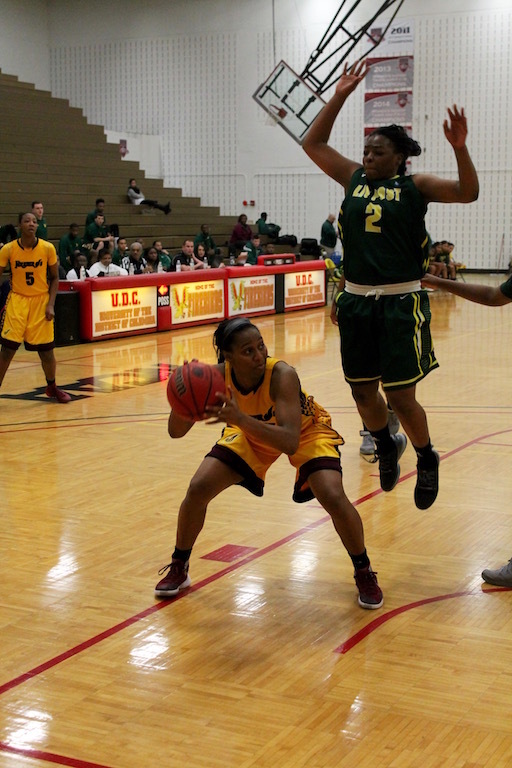 Senior guard Tajruba Baldwin-Kollore (10 points, four rebounds, three assists, two steals) capped a 6-0 run by UDC to start the game as the Firebirds also went on to possess leads of 11-5 and 13-7 nearly six minutes into the game. A 4-0 run by LIU Post saw the Pioneers close within two, 13-11 at the 2:38 mark, but the Firebirds scored six of the final eight points of the opening quarter, including Henton's buzzer-beating jumper to put UDC on top 19-13. 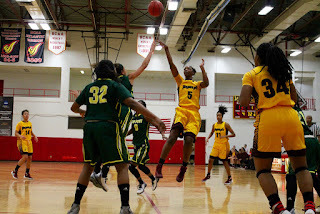 The Pioneers fought back early in the 2nd quarter and closed within three, 22-19 after a Khea Gibbs three-pointer a little over two minutes in, but Henton ignited a 15-2 Firebirds surge with the first five straight points and later added another four during the burst which put UDC ahead, 37-21. 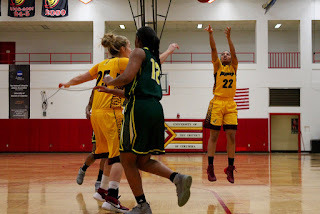 A three-pointer by LIU Post's Jalyn Brown at the 1:08 mark accounted for the final points of the half as the Firebirds led 37-24 at intermission. UDC still led 41-27 1:30 into the 3rd quarter when Jenka Stiasna (12 points, six rebounds, two steals) kick-started a 9-0 run by the Firebirds with a three-pointer at the 7:30 mark. The run culminated in a pair of free-throws by Baldwin-Kollore, and extended UDC's lead to 50-27. The Firebirds would enjoy a 53-36 cushion heading into the 4th quarter. The Firebirds then put the game away with a 9-0 run to start the 4th quarter. 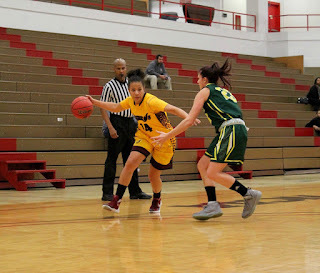 A conventional three-point play by Calhoun at the 6:36 mark completed the run and gave the Firebirds their largest lead of the night, 62-36. UDC went on to win comfortably by a 23-point margin - its 3rd victory this season by 20 points or more. Click here for Wednesday's box score.